Knowing when to start the conversation about family business succession planning can be tough. Jim and Jason understand that the dialogue surrounding the family business can be hard as it is - without throwing in who is getting what and when. 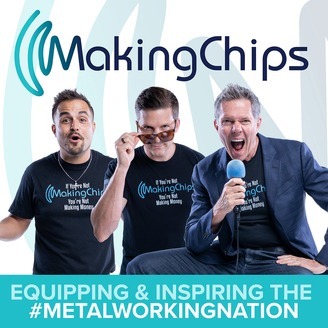 In this episode of the MakingChips podcast, Jim and Jason share their personal experiences as well as some insightful tips to help the manufacturing leaders of the Metal Working Nation get the ball rolling and keep the business growing. While bringing up succession is uncomfortable, it is important to start planning as early as possible. The earlier you begin the dialogue, the better. Jim shares that he knew the conversation needed to be brought up with his dad when he realized that the woman his father was dating at the time may have ended up being his stepmother - and an inheritor of all he had worked hard to maintain and create in the family manufacturing business. Family situations can get sticky, which is why it is vital to start now. Navigating all the discussions that need to take place, the legal issues, and the development of a practical, workable plan can take time. For Jim, it took several years from the time he began the conversation with his father to the time everything was legally settled on paper. Jason shares that while his family situation wasn’t as difficult as Jim’s, his dad still realized the necessity to begin succession planning early in case of unforeseen or unfortunate events. It isn’t only about settling who gets what and when - it is also about preserving the future of the business. Jim knew that he didn’t want the amount of effort and energy he was putting into the family business to go to waste. It is important to understand and be honest with your family members about who has the greatest or equal interest in pursuing the future of the company and who is best equipped to handle the financial ups and downs. Jim shares that he didn’t want the business to be pulled out from under him by someone else when he was the one that had put the greatest amount of effort into the company and knew that was where his passion lay. Similarly, Jason shares that while he and his sister both owned shares in the family business, Jason and his wife had sustainable future plans for the company and held a greater level of interest in its growth. Both Jim and Jason walked through the succession planning journey with their families, taking into consideration that it would be difficult and at least a little bit painful for everyone involved. The priority, however, always had to be the success of the business. Listen to the entire episode for details on how Jason and Jim helped their families walk the path of succession planning to cohesive decision-making. Jim stresses the importance of seeking professional help when building a family business succession plan. Understanding which appraisals matter for tax purposes, payment plans, and divvying shares is vital. While conversations can create plans that seem doable, having everything put into a binding, written agreement is key. Having a business appraiser, attorney, and corporate account present can help you and your family make sense of everything involved and what needs to be done to make your succession plan a reality. Jason explains the importance of understanding the fine print. You and your family probably won’t come to complete agreement on the first draft of the succession plan. Is what is being handed to you what everyone needs? Jason knew he didn’t want to be handcuffed in any way when he took over ownership of the family business, and so further work had to be done on the succession plan before he and everyone else was content with moving forward. Get the conversation going - no matter what. Yes, it can be uncomfortable - whether you are the one giving everything away or the one receiving. Yes, it can give rise to rifts and pains that no-one in the family will want to feel. Jim and Jason stress, however, that the longer you wait, the worse it gets. They suggest networking with peers that may be going through the same thing and collecting thoughts and ideas on how to navigate the succession waters so that you don’t drown when you go in to start the conversation. The important thing to remember is that you do not want something such as succession planning to be a looming impediment to your family business. The growth and success of your business should always remain at the forefront. 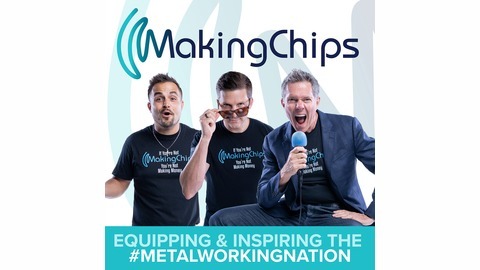 Because if you aren’t making chips - you aren’t making money. Jason and Jim discuss their personal experiences with family business succession. The importance of beginning the discussion early!